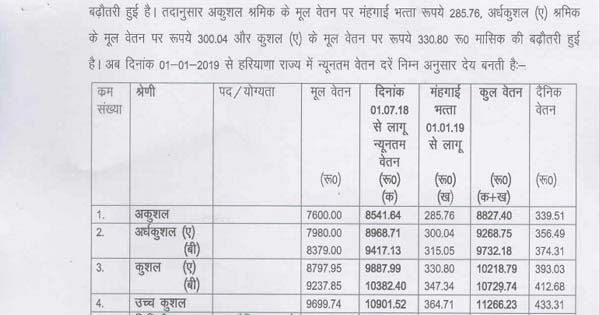 The Haryana minimum wages 2019 notification was released on 15 February 2019. These new minimum wages are effective from 1 January 2019 to 30 June 2019. Here you can find revised minimum wages in Haryana and also download Haryana minimum wages 2019 notification.